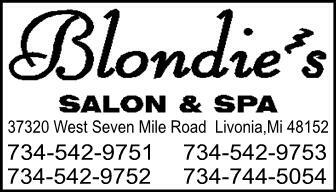 standards Blondie’s demands for our Salon guests. Fill Acrylic $36 Polish Change (Hands) $10. 40 Min Express Facial & 40 Min Massage Package $100.